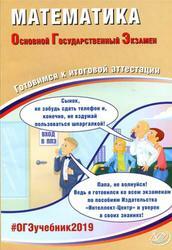 Математика, ОГЭ, Готовимся к итоговой аттестации, Семенов А.В., Трепалин А.С., Ященко И.В., 2019. 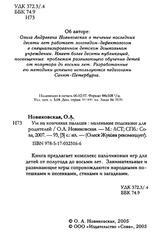 Данное пособие предназначено для подготовки учащихся 9 классов к государственной итоговой аттестации — основному государственному экзамену (ОГЭ) по математике. Издание включает типовые задания по всем содержательным линиям экзаменационной работы, а также 30 примерных вариантов в формате ОГЭ 2019 года. Пособие поможет школьникам проверить свои знания и умения по предмету, а учителям — оценить степень достижения требований образовательных стандартов отдельными учащимися и обеспечить их целенаправленную подготовку к экзамену. 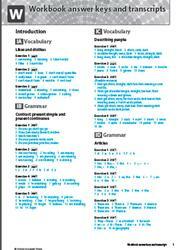 Solutions Pre-Intermediate, Workbook answer keys and transcripts, 2017. The other team weren’t very good and we quickly scored three goals. But then we relaxed, I think. We thought ‘This is easy! We’re going to win. No problem at all.’ But then, in the second half, the other team scored three goals, so it was 3–3. And there were only five minutes left. But luckily we managed to score in the last minute and win the match. 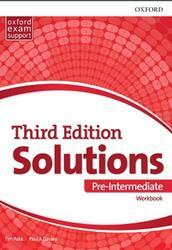 Solutions Pre-Intermediate, Workbook, Falla T., Davies P.A., 2017. Christine reacted to the spider in this way because she has a phobia - a strong fear that she can’t control. Her phobia is called arachnophobia - an extreme fear of spiders. But spiders are not the only animals that people are frightened of. Other animals can have a similar effect, including dogs, fish, birds and even frogs. There are also other types of phobia, such as environmental phobias (like fear of flying) and medical phobias (for example, when people are terrified of going to the dentist). 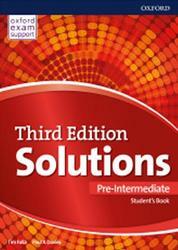 Solutions Pre-Intermediate, Student's Book, Falla T., Davies P.A., 2017. The Writing Hall was invented in 1865 by Rasmus Mailing-Hansen from Denmark. It was a machine for typing onto paper Malling-Hansen spent a long time working on the design. For example, he made sure all the keys were placed in the best positions for typing quickly. The machine even used electricity to make the movement faster. There was one problem, however: you could not see the paper as you were typing. Nevertheless, the Writing Ball was sold all over Europe and was very successful. However, each model was made by hand. Soon, other machines became more popular because they were made in factories and were cheaper. A new keyboard was developed with the keys arranged differently. This arrangement is now used on phones and computer keyboards all over the world, even though it was quicker to type using the Writing Ball. The once-popular Writing Ball was forgotten. 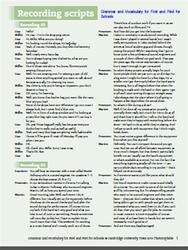 Grammar and Vocabulary for First and First for Schools, Recording Scripts, 2015. 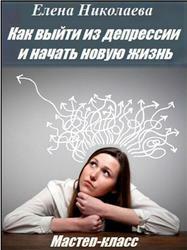 I found my course really difficult at first, because we start every day with three different lectures. There's just so much new information to take in all the time, and then we spend all afternoon in the laboratory doing experiments. It's all about test tubes and observing how different substances react and behave. But this is my second term, and now I'm convinced that the system really works. I’ve learnt a huge amount in a short time, so I really appreciate having the lectures each morning. I don’t have a lot of free time, but we don't have to write long essays yet -I'm in favour of concentrating on the experiments for now - just writing them up and drawing conclusions. 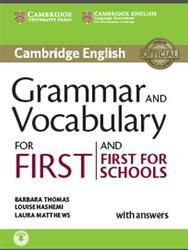 Grammar and Vocabulary for First and First for Schools, With answers, Thomas B., Hashemi L., Matthews L., 2015.